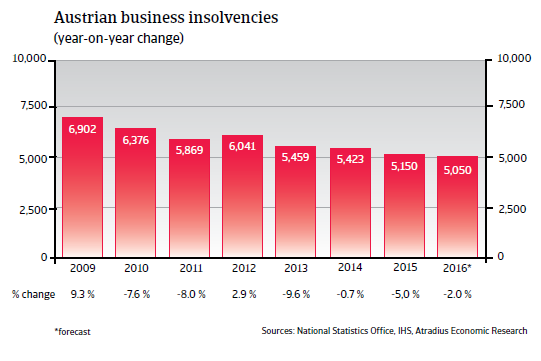 Austrian business insolvencies decreased by 5% in 2015. 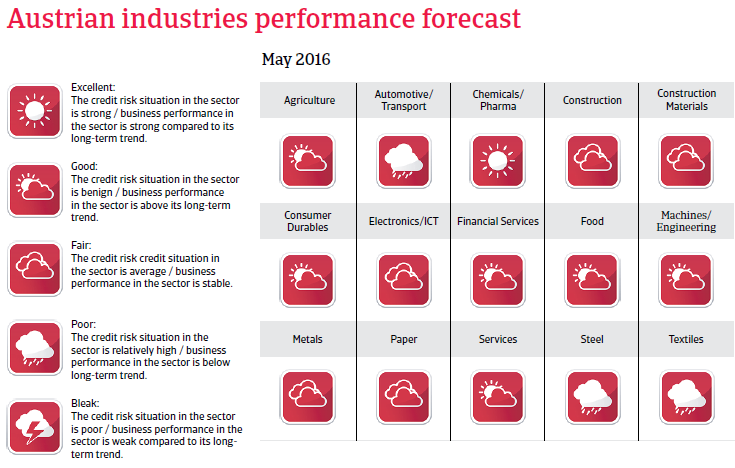 However, this positive trend is expected to slow down in 2016, with insolvencies forecast to decline just 2%. 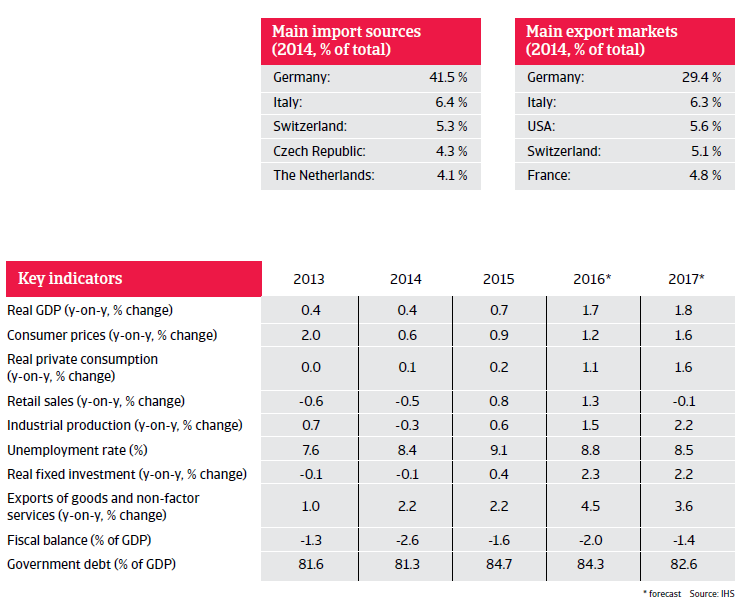 The Austrian economy recorded modest growth of 0.7% in 2015, sustained by rising investments and exports. With an increase of only 0.2%, private consumption growth remained subdued hampered by increased unemployment (9.1%) and lower wage growth. 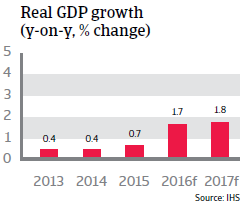 In 2016, GDP growth is expected to accelerate to 1.7%, as domestic consumption is expected to pick up again. Private consumption is forecast to increase 1.1% due to an income tax reform in place since January 2016 and slightly decreasing unemployment. Investments are also expected to pick up this year.